On the first Sunday of every month (except January) we meet in Kingswood. 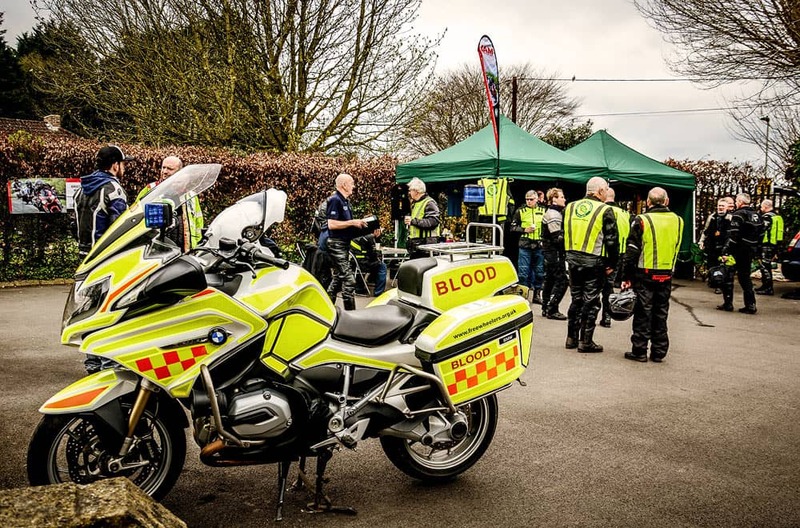 This is also your opportunity to come along and find out more, and take a FREE initial assessment ride with one of our trained Observers. 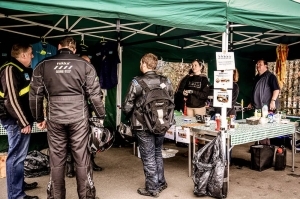 If you’re interested in becoming an Advanced rider then the first step is to come along to a Super Sunday event. 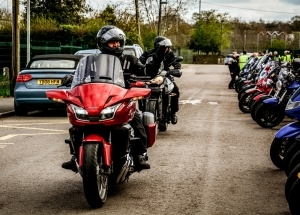 There is no need to book or contact us in advance – just turn up and someone from the group will welcome you. 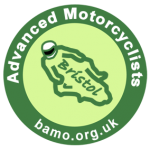 This will be your opportunity to go out for a free initial assessment ride, accompanied by one of our trained Observers. Super Sundays are held at King’s Oak Academy in Kingswood, Bristol. This is situated just off the A420 out of the city and near to the Bristol ring road (A4174). See map below for details. 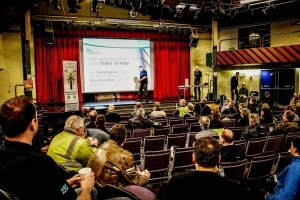 Super Sunday meetings take place on the first Sunday of every month (except for January). To see a schedule of all club event dates click here. Super Sunday meetings are a monthly focus for the club and a lot of bikes assemble along Brook Road. Once you arrive there’s little chance that you’ll miss us – just park up with the rest of the bikes! Please arrive by 9:00am so that you have time to sign-in and complete some basic paperwork. 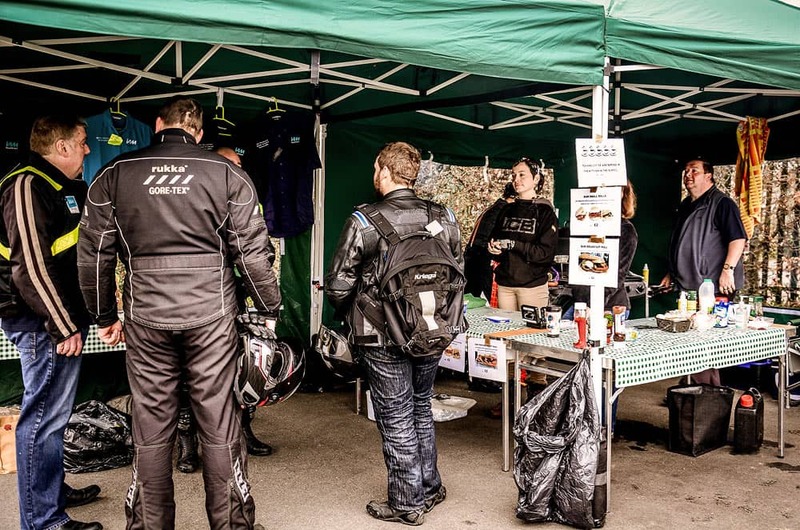 We set up a catering tent where you can grab a cup of tea and some food before things get underway. Then, at 9:30am, everyone assembles in the main auditorium for a briefing, after which you’ll be allocated to an Observer for your assessment ride. 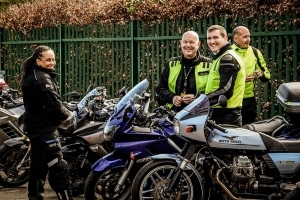 The initial assessment ride is free; there are no charges at this stage. 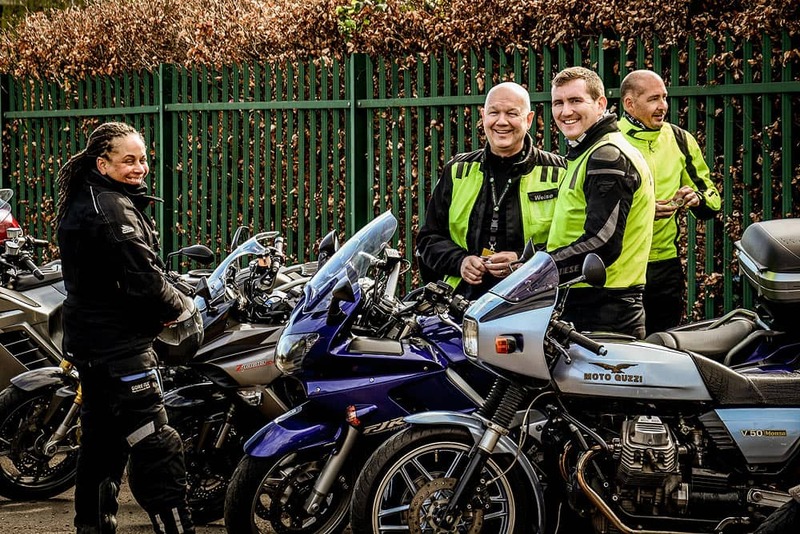 The assessment ride takes around an hour and you’ll cover 20-30 miles of mixed roads, followed by a debrief from the Observer who will give feedback and present you with a checklist of remarks about your strengths and any areas that could benefit from further development. 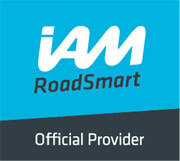 At this point, if you’re ready to commit to the IAM RoadSmart Advanced Rider training course, you’ll then have an opportunity to sign up to become an Associate member. Within a couple of weeks you’ll be assigned to an Observer and your training begins. You’ll remain with your assigned Observer all the way through until you take the final assessment. 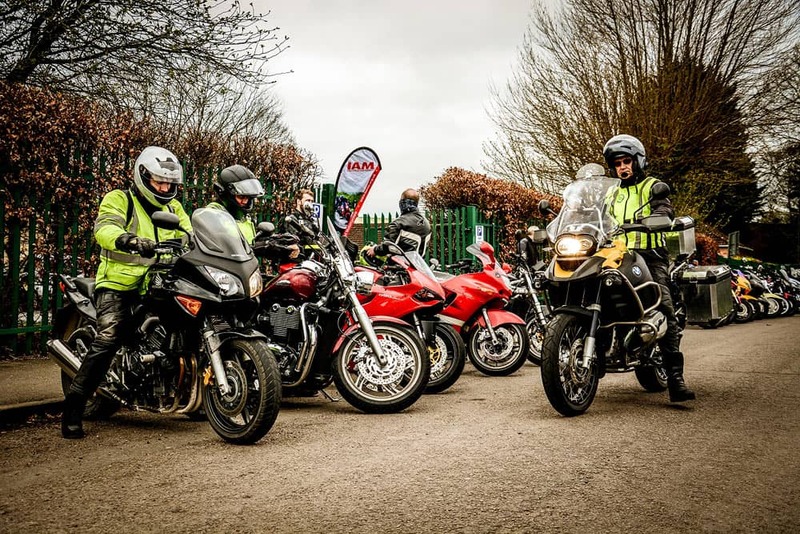 It doesn’t matter what type of motorcycle you ride, if you ride on the roads then you can benefit from IAM RoadSmart Advanced Rider training. 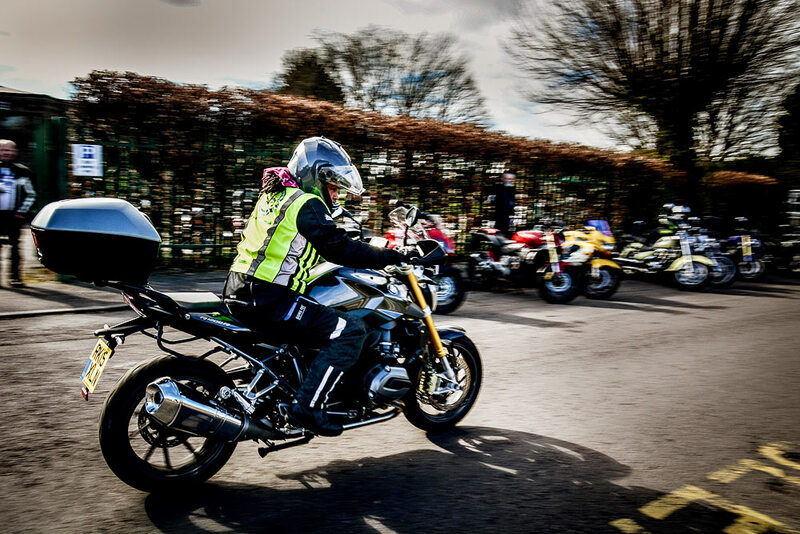 You’ll see an extraordinary diversity of machines in evidence at our events, from regular naked street bikes to cruisers, sports bikes, adventure and full-dress tourers. We’re all united in the common goal of becoming the best riders that we can be. It doesn’t matter what type of motorcycle you ride, if you ride on the roads then you can benefit from RoadSmart Advanced Rider training.